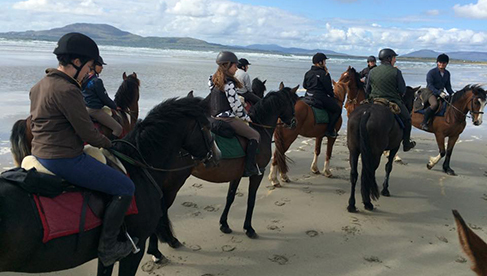 The Clew Bay Trail Ride takes small groups of experienced riders through new and ever-changing landscapes of small villages, breathtaking sandy beaches, sea and off-shore islands, country lanes, mountain tracks and local heritage sites, stopping for a picnic along the way. 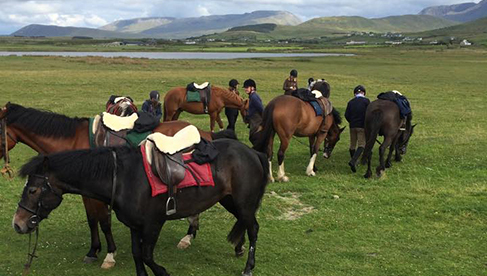 Your host Padraic Foy is a Qualified Riding Instructor, a Certified Monty Robert's Instructor and an accomplished horseman whose family have been involved with horses in the locality for generations. 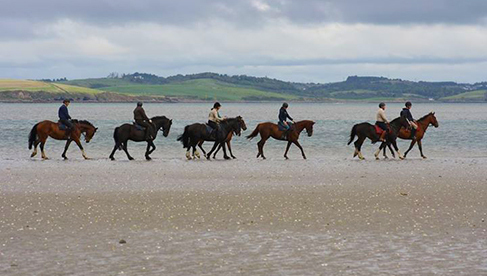 This combined with the spectacular Clew Bay region on the Wild Atlantic Way, quality Irish horses and excellent accommodation ensures this is an Ireland riding holiday you will cherish forever. 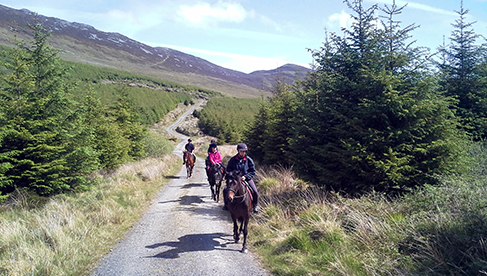 The base for the trail riding vacation is at Drummindoo Stud. 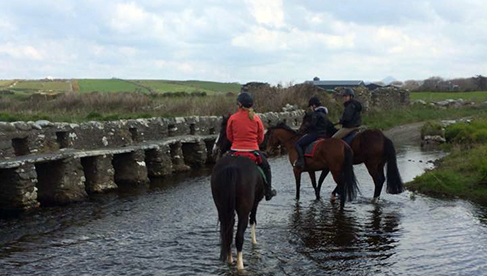 It has developed over time from a small stud to a modern equestrian facility. 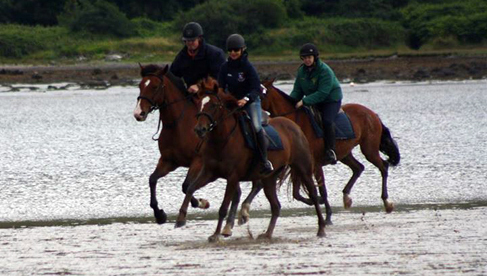 The majority of Clew Bay's trail horses have competition experience and have been started by Padraic as they breed, train and produce them on a continual basis. 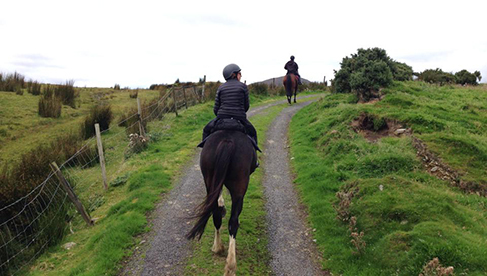 The good temperament and stamina of these Connemara Ponies, Irish Sport Horses, Irish Draughts and Irish Cobs make them ideal for the trail riding vacation. 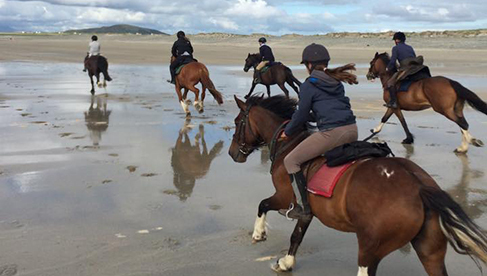 Drummindoo Stud, a modern equestrian facility and the base for the Clew Bay Trail Ride, has recently been awarded a TripAdvisor Certificate of Excellence. 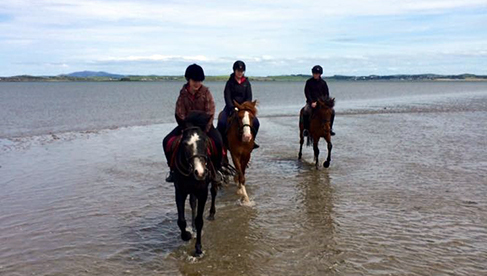 Join a Clew Bay Trail Riding Vacation in Ireland. 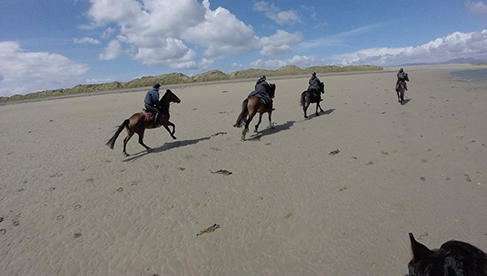 Padraic takes small groups of experienced riders on quality Irish horses through the spectacular Clew Bay region along Ireland’s Wild Atlantic Way. Book before July 31st to get a discount. Learn more by visiting Clew Bay's website or by emailing Padraic. Enjoy 6 nights bed and breakfast accommodation + 5 days riding (4 to 5 hours per day) + 5 picnic lunches and all transfers during the trail. Book this trip or learn more about rates and details! 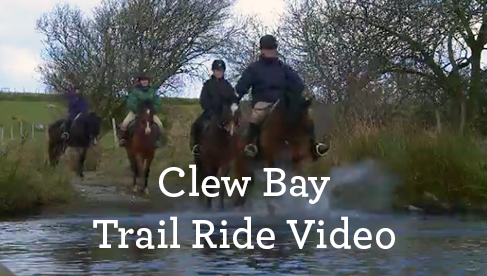 Visit The Clew Bay Trail Ride website to check out the trip itinerary and learn more or email Padraic. 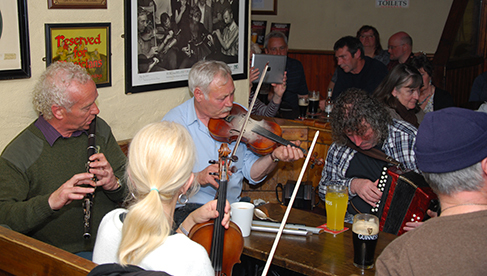 The 3 star hotel and guest house accommodation is ideally located in the historic town of Westport. 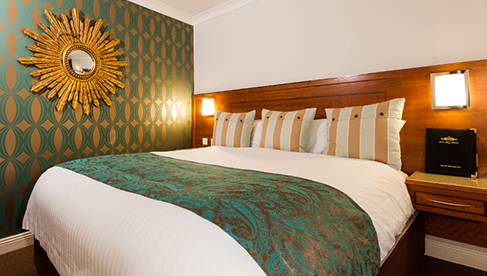 All bedrooms are designed and fitted with every comfort and convenience in mind. Fresh, locally sourced and produced Irish food, prepared by award winning chefs to cater for every taste. 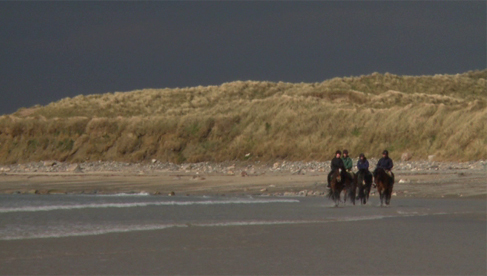 Clew Bay is a top class activity hub and a paradise for outdoor enthusiasts. 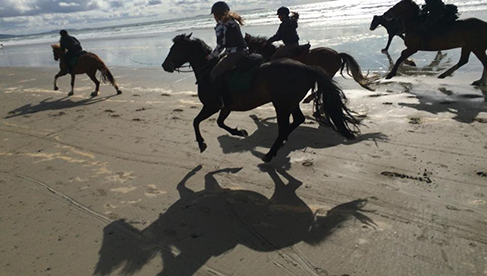 Non riders can choose from walking, cycling, fishing, sailing, diving, golf, and a host of other adventure activities. 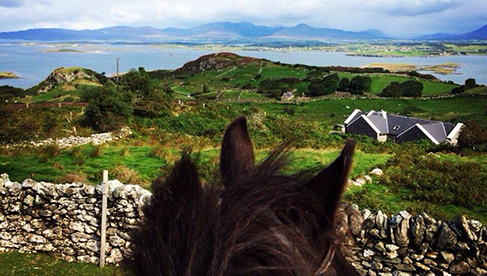 Clew Bay is a natural ocean bay containing many islands and is overlooked by Croagh Patrick, Ireland's holy mountain. Lying just offshore, at the mouth of Clew Bay, is the magnificent Clare Island, the stronghold and headquarters of Grainne Uaile (Grace O'Malley), the legendary Irish Pirate Queen. 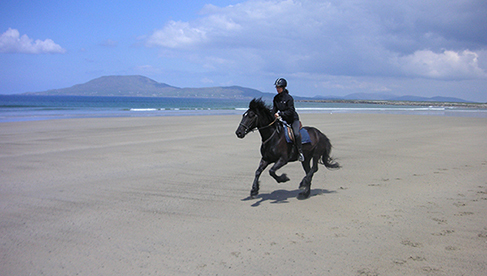 Located at the south-east corner of Clew Bay is the award winning town of Westport (winner of several Tidy Town Titles and voted the Best Place to Live in Ireland) with it’s gracious town center in the Georgian archetictural style. Westport House, former home of the Marquess of Sligo who commissioned James Wyatt in 1780 to plan the town, is a popular attraction. People return to the area again for its natural beauty, unique people and culture. 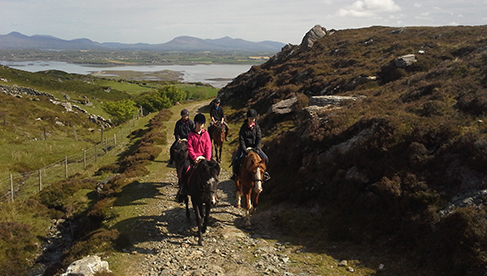 The Clew Bay Trail Ride takes small groups of experienced riders on quality Irish horses through the spectacular Clew Bay region along Ireland’s Wild Atlantic Way. 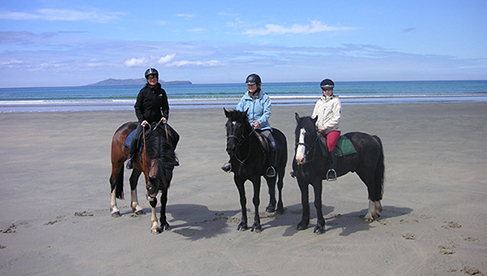 This riding vacation company works with Travel Agents.